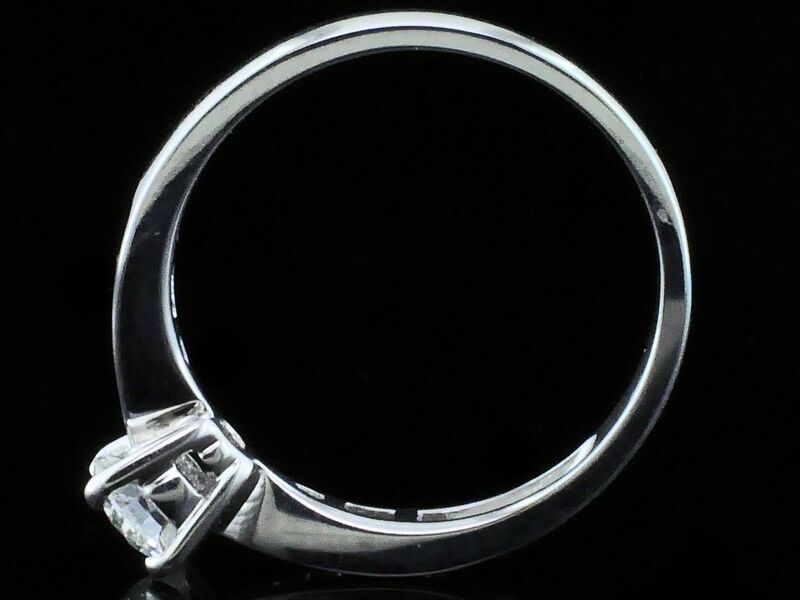 Gerald's Signature Hearts & Arrows Diamond Engagement Ring. 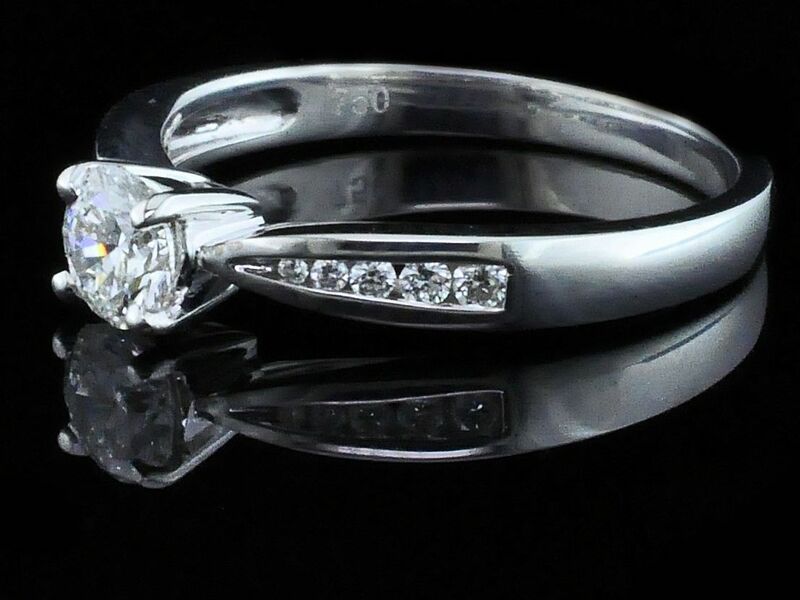 18K White Gold and Diamond Engagement Ring, with .52ct total weight of Diamonds. One Round Brilliant Hearts & Arrows Cut Center Diamond, weighing .41ct, with a clarity grade of VS2 and a color grade of "F".